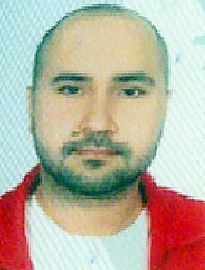 Peel Regional Police believe this man has defrauded Mississauga residents out of more than $100,000. MISSISSAUGA — A man has defrauded Mississauga residents out of more than $100,000 with bogus cheques that he uses to pay for online items for sale, Peel Regional Police say. Police say the man contacts his victims, who have placed high-ticket items such as watches and other pieces of jewelry for sale on various buy-and-sell websites. Once a price is negotiated, the man will meet the victims and pay for the item with a counterfeit certified cheque. The culprit presents the victims with fake identification, usually a Quebec driver’s licence. Investigators believe the man is travelling in from the Montreal area to commit these offences. He is described as white, aged 30, with very short, dark hair with what appears to be a receding hairline. Some victims have described him as possibly being of Mediterranean descent. Police have released a photo of a suspect in hopes it will trigger an arrest. Anyone with information is asked to call police at 905 453-2121, ext. 3335.